We are often approached by Students, 457 visa holders and 482 TSS visa holders who want to cancel a their visa for a number of reasons mainly because they have applied for a Permanent Visa. If you are looking to return home and probably not come back to Australia for good before your course ends, then you can might want to voluntarily cancel a student visa. It is recommended to only cancel your student visa once you have left Australia. Generally speaking it can take roughly 3 – 5 weeks for the Department of Home Affairs to cancel your visa. If you are planning to stay in Australia, cancelling your student visa many have it’s consequesnces. If you wish to remain in Australia a better strategy might be to apply for another visa if you are eligible. Once your new visa is granted the Student visa will no longer be valid. However if you cancel your student visa without a new visa being granted, you will become unlawful in Australia. This could potentially give you problems applying for new visas in the future. If you stop studying and remain in Australia, then there is a good chance that your school will contact Home Affairs and inform them that you are not studying or meeting the minimum attendance or performance requirements. The department will then send you a Notice of Intention to Cancel your Visa (NOICC). 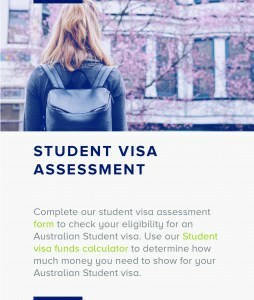 If you are not studying and meeting your course requirements in Australia and on a student visa, then you could potentially have your visa cancelled. If you cancel your student (subclass 500) or 482 TSS visa when you have applied for another visa, the Bridging Visa A linked to the new visa you have applied for will also be cancelled. Meaning that you will not automatically get the Bridging Visa A with work rights as it will cease due to the cancellation. To prevent being in Australia unlawfully you will then need to lodge an application for a Bridging Visa E which does not grant you work rights by default . To apply for work rights you will also need to lodge an application requesting work rights. In order to obtain work rights you will need to prove that you are in ‘financial hardship’ and specific criteria applies to prove this. Applicants who hold a BVE will have additional conditions to oblige with and may be requested to monitoring calls and regular attendances in person at the Department of Home Affairs compliance office. The BVE does not permit you to travel and it does not allow you to apply for travel rights (Bridging visa B). The period your visa is cancelled, until a BVE is granted you may become unlawful although the department usually grants the BVE on the spot to avoid this. If you are unlawful for any period of time due to cancellation, this will effect general residency requirements when it comes time to applying for citizenship. Your time in Australia will be reset from when you obtain a new visa to meet the residency requirement for citizenship. For instance, if you have lawfully spent 4 years in Australia and your visa is cancelled and you become unlawful, you will need to wait another 4 years to meet the residency requirement for your citizenship from when your new visa is granted. A record of cancellation or unlawfulness may create obstacles for future visa applications in Australia and also you may have to do some explaining when applying for other countries as you will need to justify why your visa was cancelled or why you were unlawful. 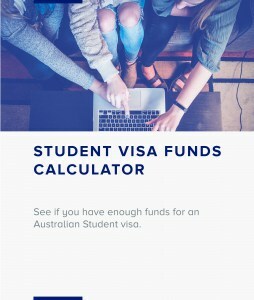 If you quit your job whilst holding a 457 visa, 482 TSS visa or quit to study whilst holding a student visa and then decide to go back home, your visa will then be cancelled at some point. However if you later decide that you wish to come back to Australia, it is unlikely that you will have any issues for future visa applications in this case as you had not breached conditions while you were in Australia and held a visa but rather came to the decision to return home.